Quantity discounts available on orders of 20 or more. E-mail sales@precisionlexan.com for quotes. 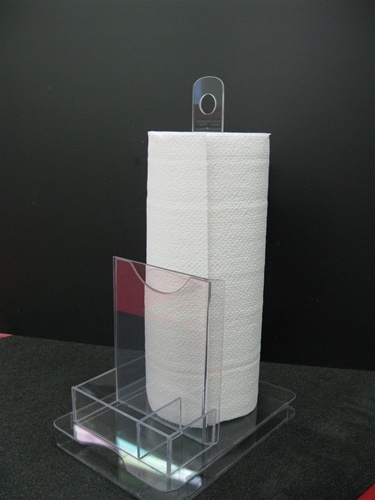 Please specify the number of towel dispensers and reference the product code in your e-mail. 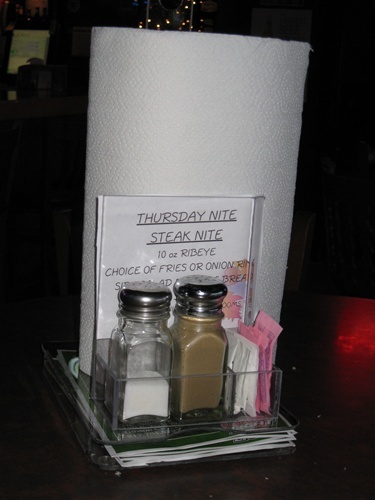 Restaurant paper towel dispenser. 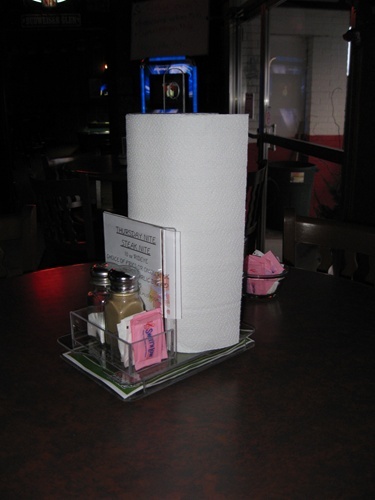 This unique compact design allows space for salt and pepper shakers, sugar, advertising menu specials, and menu storage in addition to a roll of paper towels. 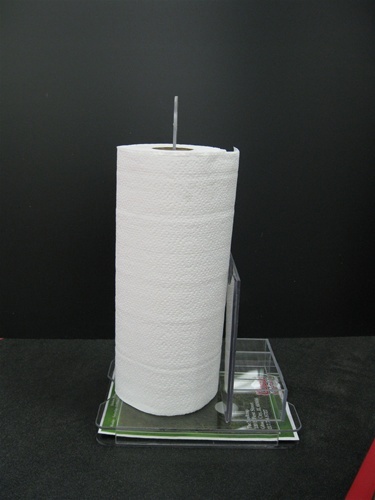 Save money by switching from napkins to paper towels! Base Measures 6 1/4" x 8 3/4"